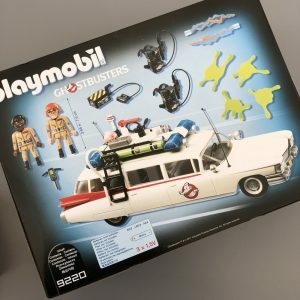 We’ve been putting the Ghostbusters Playmobil sets to the PLAY TEST to see if it’s worth a spot on the MUST HAVE CHRISTMAS TOY LIST. 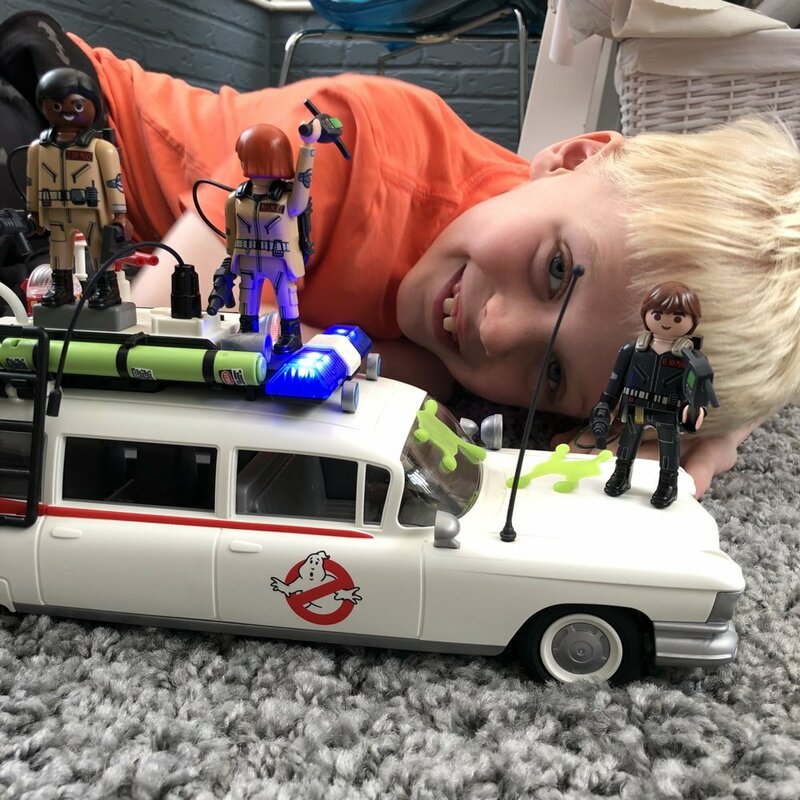 Playmobil sent over some Ghostbusters play sets so we’ve been super busy PLAYING to see just how much fun it really is. 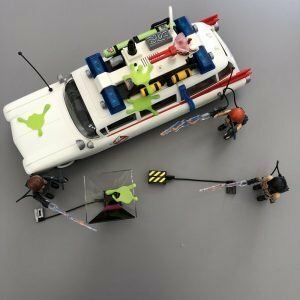 What’s in the Ghostbusters Playmobil play set? 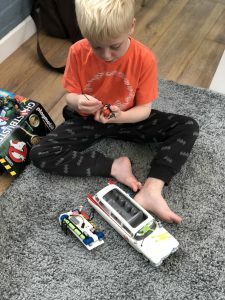 The Playmobil Ghostbusters play sets are super simple to construct – they take around 20 minutes to put together – but the instructions are easy to follow. 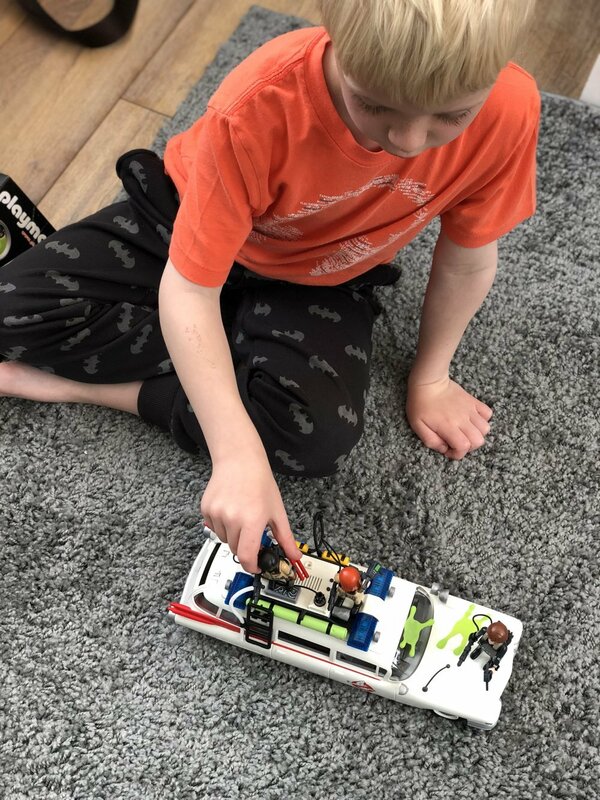 Once they’re put together the scope for imaginative play is limitless! 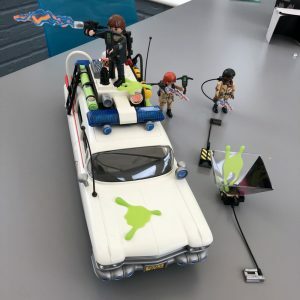 We loved that the ghost trap can be used with a mobile phone app to create a FLOATING HOLOGRAPHIC SLIMER GHOST!!! Such a cool feature!! 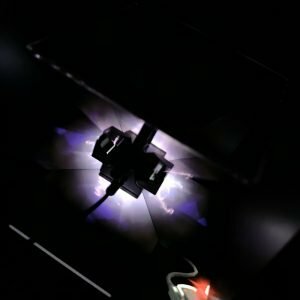 It flashes and flickers as it get’s sucked into the ghost trap! 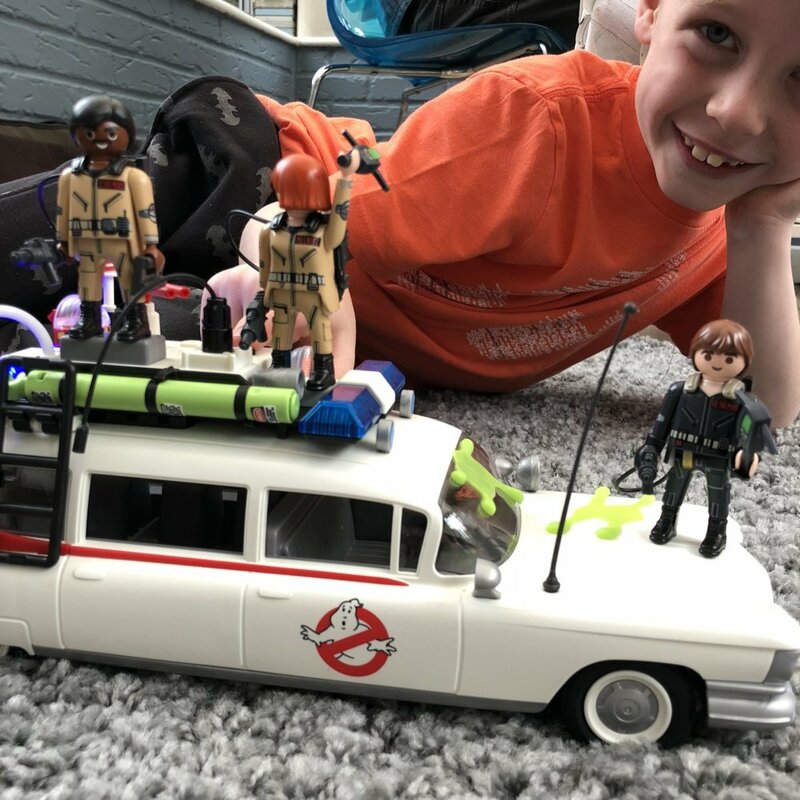 The Ghostbusters car also lights up and has a nice loud siren! We loved that it appealed to kids – such an iconic film and great for shared play with parents…. 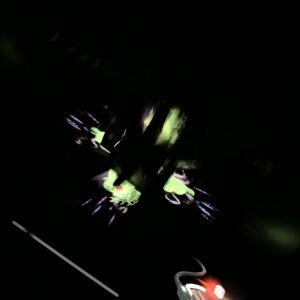 who remember the original Ghostbusters! 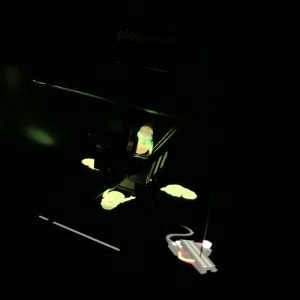 We loved that it combined the holographic slimer feature -vvvvveeerrrrry cool. The play sets are simple to put together and are sturdily made so they’ll take a few knocks and bangs, no problem. The sets are great for encouraging imaginative play. 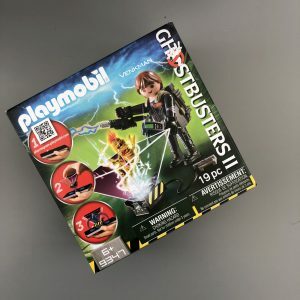 We thought the Ghostbusters Playmobil would be a great Halloween gift as an alternative to a bucket load of sweets. 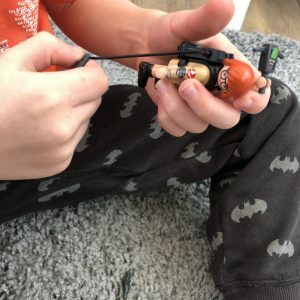 It definitely got the thumbs up as a “must have Christmas toy 2018” from our 7 year old. 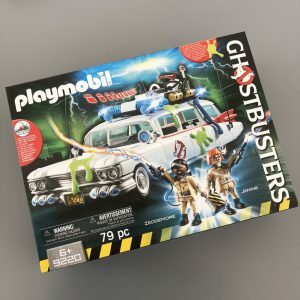 Disclosure – the Ghostbusters Playmobil was provided free of charge for review. For full details of my disclosure policy please read here.